It's no secret that both of us are huge fans of Turkish food: we developed a real appetite for the stuff with our trip around Eastern Turkey and Istanbul last year, where the cuisine was outstanding. About a million miles away from the old greasy kebab you get over here, we've dedicated a substantial amount of time to finding good, authentic Turkish restaurants in London since our return. 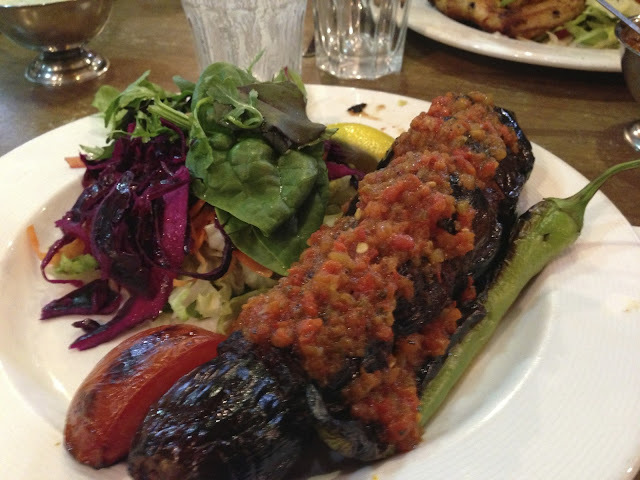 After being pleasantly surprised by the likes of 19 Numara Bos Cirrik 2 and Antepliler, we continued our exploration of Turkish spots of North London with Likya Ocakbasi in Golders Green. After a brilliant day out with A's parents P and J at the Queen's club tennis final (for the uninitiated, the men's tournament a couple of weeks before Wimbledon which takes place in west London), we'd all worked up an appetite after shouting support to Andy Murray all afternoon. P and J live in north London, and so we all ventured back up to the north of town and met up with A's brother K and his girlfriend J (aforementioned here) for a family dinner. Likya Ocakbasi occupies a fairly large plot in the middle of Golders Green (NW11). Inside, it's about as authentic as it gets over here: a large ocakbasi (Turkish grill) at the entrance with all kinds of kebabs cooking, Turkish music blaring and chefs and waiters yelling and gesturing while they cook and serve. It's busy in here, too: on a Sunday evening at 9pm we had to wait for a table, and that's always a good sign. A and C started with a couple of servings of Ayran - the salty Turkish yoghurt drink we developed a bit of a thing for while out there - while the others had water. 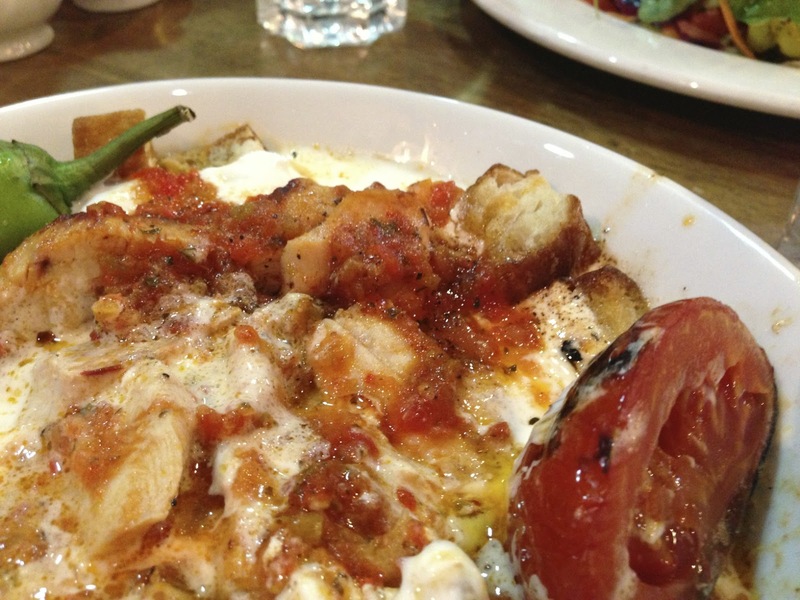 C, for one, was also very predictable with her choice of food: she went for her old favourite the Iskender (£9.95), a doner kebab on a bed of bread, covered with yoghurt and a tomato and butter sauce. It was excellent, with the salty yoghurt spot on, bar one small criticism: in Turkey itself (Ankara in particular, we found), waiters will come to the table with a boiling buttery sauce and pour over so it bubbles on top of the meat. Super healthy it may not be, but it's a great touch, and all too often missing in Turkish food in London. 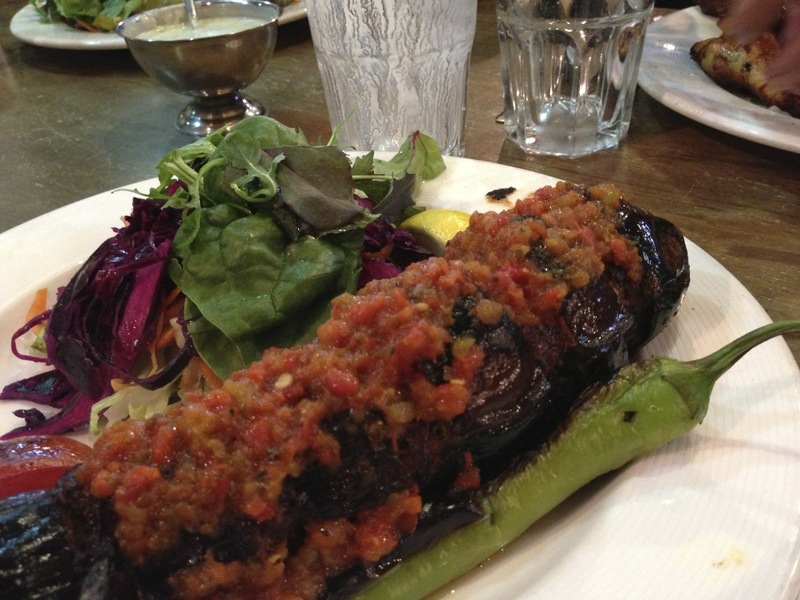 A was going to opt for his own favourite too, but changed his mind just at the last minute and went for the Imam Bayildi (£8.75), an aubergine stuffed with onions, tomatoes and green peppers and served up with a fresh salad. 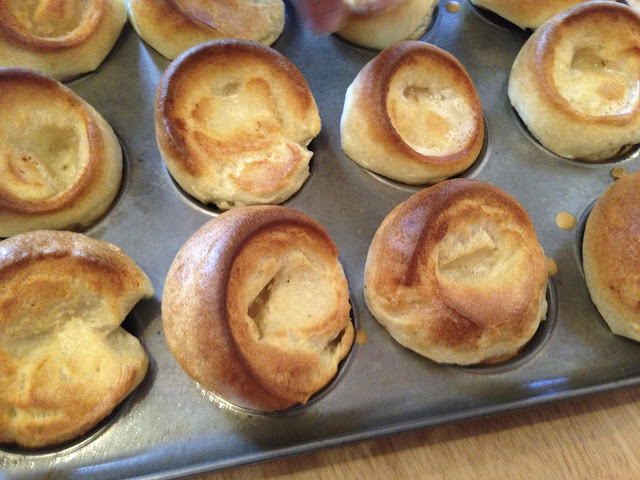 It was met with moans of approval and the speed at which it disappeared also suggested it was really very good. 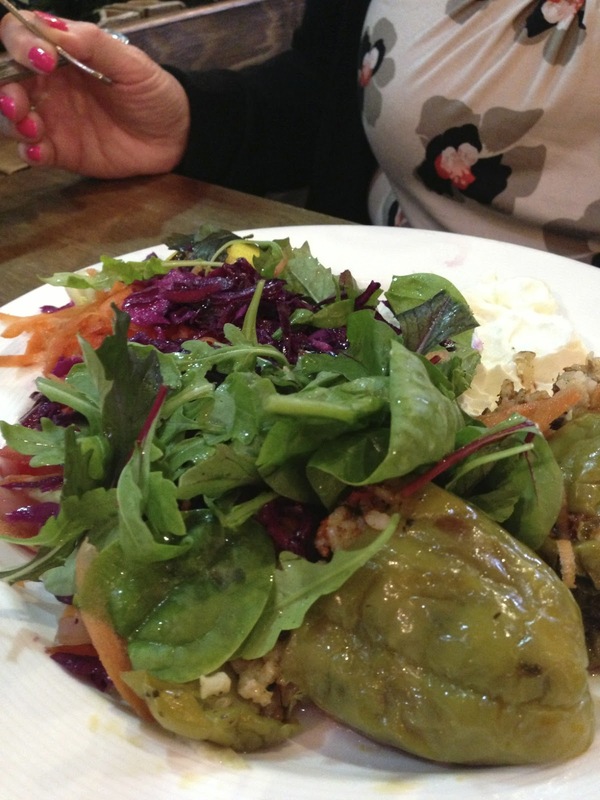 P also went for a vegetarian dish: the Biber Dolma (£8.75), stuffed green peppers with rice and pine kernels and also served with a fresh green salad, which she also commented was well cooked and very tasty. 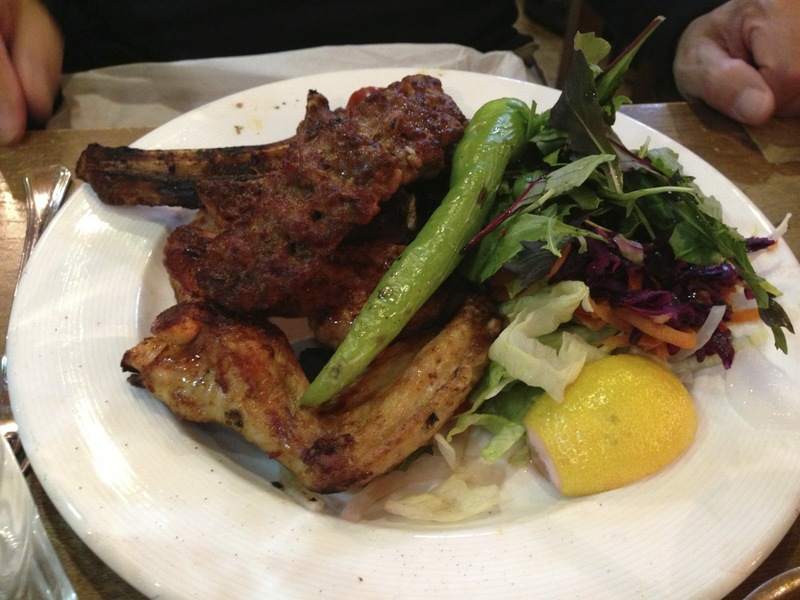 The rest of the bunch went for meat, and either went for a simple dish of chicken or lamb served up with salad (£9.95) or a classic tavuk doner kebab (£8.75). All round, the food was met with approval, and the portion sizes so generous that we practically rolled out of the restaurant, let alone struggled to find room for dessert. Is it the best Turkish restaurant we've ever been to? Well, possibly not, but then we've been to very many. If you're in this part of town, though, it's a great bet for really good, authentic Turkish food at reasonable prices, and it's clear to see why it's so popular in the local community.